Create new elements and watch your own divine universe come to life. Doodle God is an addicting puzzle and world building game where you use logic and ingenuity to create the entire universe. Starting with the basic elements of earth, wind, fire and air, you can build a world filled with locomotives, dragons, skyscrapers, aliens and more. In Planet mode, discover a challenging new way to develop the universe of your dreams. As you create elements, watch the world come to life as new combinations create new elements, life-forms and objects that propagate the planet's surface. But beware of unintended consequences such as a zombie plague and other catastrophes. Each time you successfully create a new item, you will be rewarded with wit and wisdom from some of the greatest philosophers and comedians of all time. 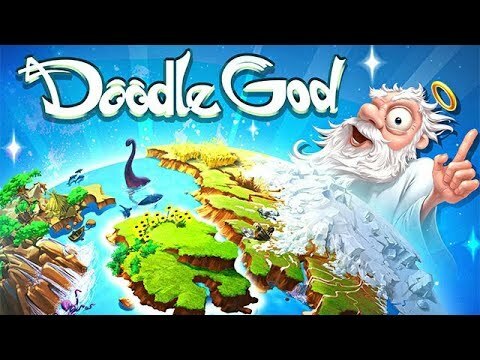 Unleash your inner god with Doodle God.